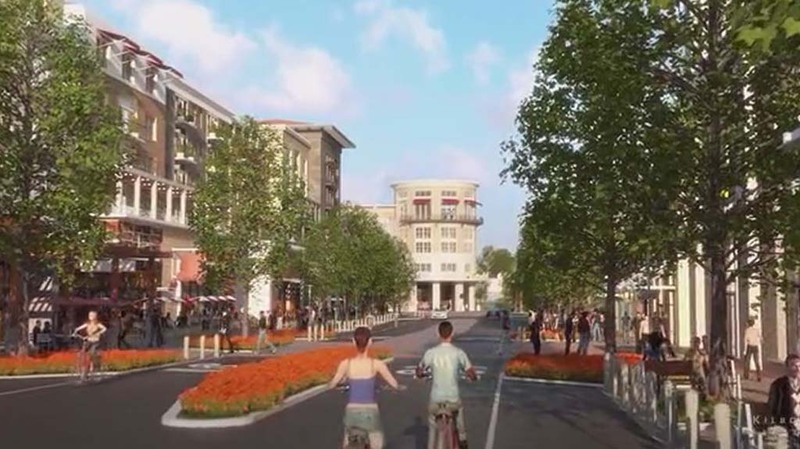 REGION — With a hearing for One Paseo scheduled for the Jan. 27 San Diego City Council meeting, officials from Del Mar and Solana Beach agreed to again submit letters stating their concerns with the Carmel Valley development. The mixed-use project, which would be located at the southwest corner of Del Mar Heights Road and El Camino Real, calls for a nearly 1.5-million-gross-square-foot development with commercial, retail and office space and more than 600 multifamily units. Current zoning allows only 510,000 gross square feet of office uses on the 24-acre lot. Both cities have previously sent letters stating concerns with economic, traffic and emergency response time impacts. In a letter approved 4-1 at the Dec. 10 meeting, Solana Beach reiterates those issues, noting that they have not yet been addressed and remain unmitigated. “This is a really large development,” Councilman Peter Zahn said. “The intensity of the development is going to create more need for these (emergency) services and could impact the availability of our residents to these services. “There were significant (traffic) impacts on the Interstate 5 freeway ramps that are in our area, and that is something that will affect the ability of both residents and visitors to come into our city and use our amenities and our residents to leave the city,” Zahn added. Mayor Lesa Heebner stressed that Solana Beach officials do not oppose developing the site, only the size of the project. “We believe an appropriately sized, mixed use project is needed at the subject property,” states the letter, which Councilwoman Ginger Marshall did not support sending. Heebner said students from Solana Beach will be impacted by traffic because they attend Torrey Pines High School, which is near One Paseo. In Del Mar, officials agreed at the Dec. 15 meeting to draft a letter stating similar concerns that will be presented for approval Jan. 5. The letter will also express concerns that they believe One Paseo does not meet the criteria to be labeled a smart-growth project because it has no transportation hub. Meanwhile, as government representatives, they also plan to ask for additional time — up to 10 minutes — to address the San Diego City Council at the January hearing. Additionally, council members Sherryl Parks, Terry Sinnott and Dwight Worden are seeking to meet with San Diego council members individually to voice their concerns. Developer Kilroy Realty Corporation, on its website, states plans to invest more than $6 million in state-of-the-art traffic improvements in the corridor. The development will also provide opportunities for a private shuttle, community access to Coaster stations and car- and bike-sharing programs.